LOS ANGELES, CA – Oct. 9, 2017… Green Hasson Janks has won the 2017 The Accountant and International Accounting Bulletin “Communication Campaign of the Year – Single Firms” award for its messaging on the firm’s #BeMore culture. Green Hasson Janks seeks to change the traditional accounting profession paradigm by recognizing that to achieve the greatest success a firm must encourage individuals to #BeMore for themselves and their clients. The Firm has taken a stance that their people are their best when they can achieve their personal and professional goals. This is why Green Hasson Janks launched its campaign to share their #BeMore approach to business. The firm believes every day is a chance to #BeMore. Not do more. Not work more. Instead, employees encourage one another to be the best they can be and enjoy life to the fullest. 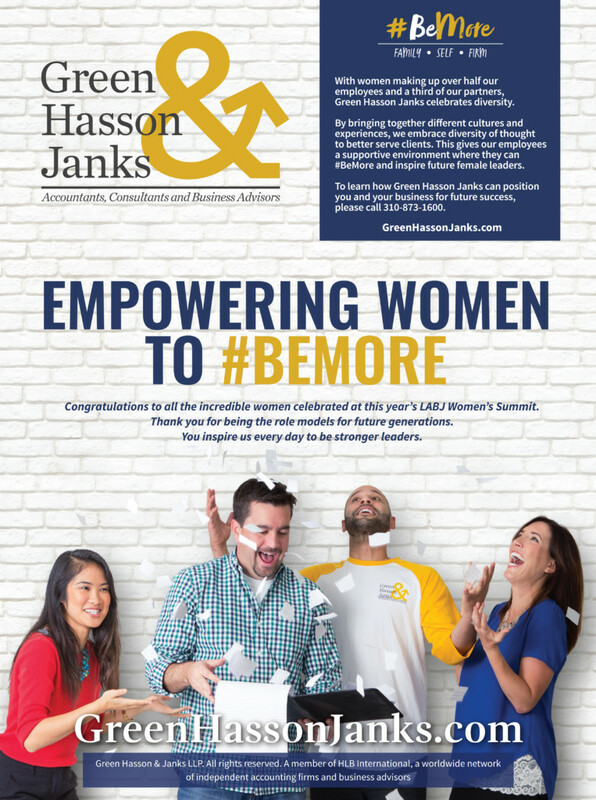 Leveraging a full campaign that included advertising, social media, the firm’s website, a dedicated #BeMore Blog and other communication tools, Green Hasson Janks has helped promote the #BeMore Firm culture throughout the firm and to its clients. The Firm has even used the platform to launch a firm-sponsored Women’s Empowerment Series, a Health and Wellness focus, and other external support strategies that advance the messaging. Founded in 1953, Green Hasson Janks is a Los Angeles-based accounting firm that specializes in nonprofit, food and beverage, entertainment and media and health and wellness companies. 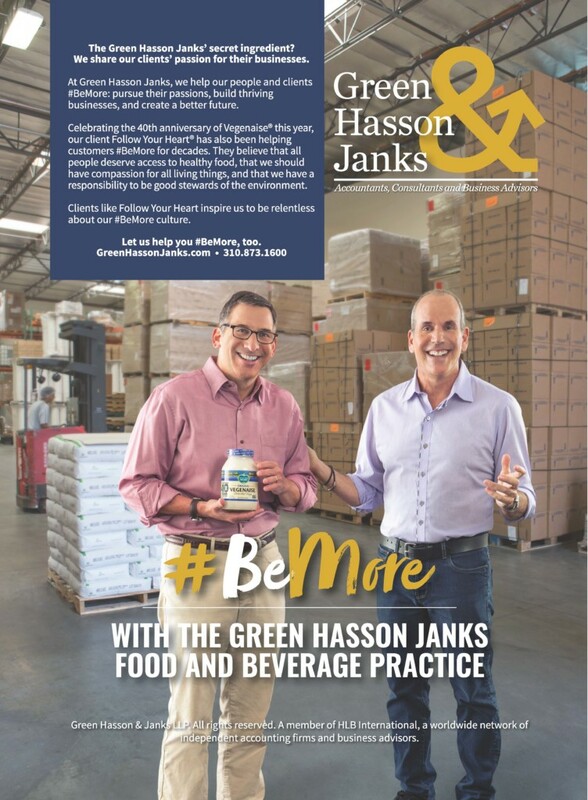 Named a “Best Places to Work” by the Los Angeles Business Journal eight times since 2008, Green Hasson Janks is passionate about helping clients and its people #BeMore by focusing on building thriving businesses and creating a better future. The firm works as a business advocate for its clients – providing personalized service and building long-term relationships to help position our clients for growth. Also ranked as a top-20 largest accounting firm on the Los Angeles Business Journal’s Book of Lists, the firm has 14 partners and approximately 150 staff members that serve over 3,000 clients. The firm is a member of the American Institute of Certified Public Accountants (AICPA), the AICPA Governmental Audit Quality Center (GAQC), the California Society of CPAs and the California Association of Nonprofits (CalNonprofit).